Do your kids love the movie Frozen? It seems that movie never gets old and my kids love it. 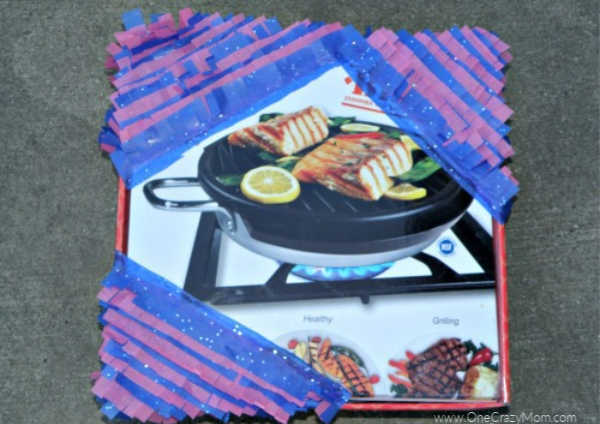 I found that most Frozen pinatas range from $24 – $40 which is just plain CRAZY! I mean… the kids are just going to beat it to tiny pieces. 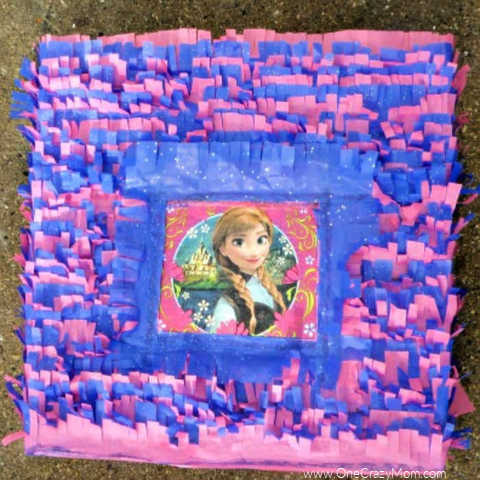 I thought I would show you today how you can make a Frozen pinata for under $5. You will not believe how inexpensive and easy it is to make your own pinata for your next birthday party. How do you make a pinata? Our favorite way to save money on birthday parties is by making our own pinatas. It is so easy. Once you make a diy frozen pinata, you will make them for all your birthday parties! Let’s get started with this DIY Pinata! It is fun and even the kids will enjoy helping. They will love this party theme. 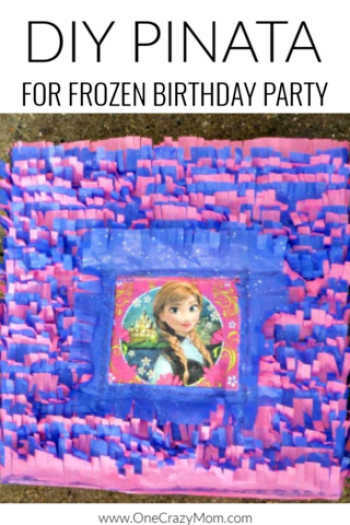 Once you know How to make a Frozen Birthday Party Pinata, you will save so much money! 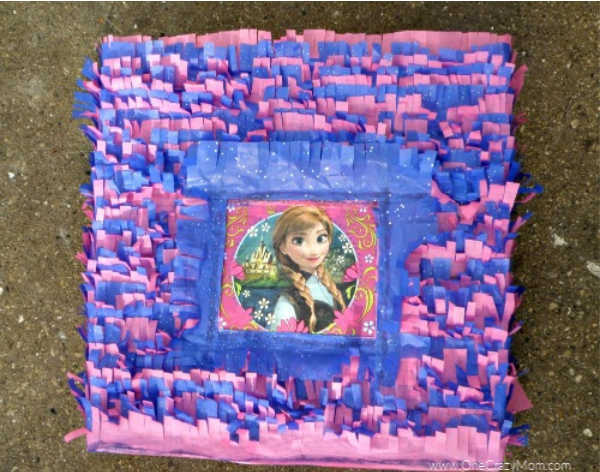 For your next Frozen birthday party, build a pinata for less! 1 Cardboard Box with the dimensions that you would like. You don’t want the height of the box over 7″ for a birthday party. You also do not want a really thick box or a really thin box, other wise the kids won’t be able to break it or it will break right away. A regular cardboard box without double layers will work well. A small or medium size pizza box works good too! You will want to cut 4 sheets of each colored tissue paper for your pinata. Unfold the 4 sheets, then take 2 sheets at a time, and cut them 1 1/2 to 2 inch strips. When you have cut all the strips, you will then cut half cuts into the strip to make the strips into the fringe like look for the pinata. This is the most time consuming, but remember it doesn’t have to be perfect. Let the kids join in! Step 2: Figure out how you want the pinata to hang. You will want to figure out which way you would like your pinata to hang. We had ours hang so it was a square but you could turn it and have it hang like a diamond shape. Then put two holes for your thick twine or yarn to hold the rope that you will use to pull the pinata so that the children can hit it. You will put two holes on each side and string it through and tie it so that it’s strong enough to support the rope. Once you have your twine or yarn in place then use the Packing tape to close the flaps on your box. Step 3: Cut the opening for candy. Cut a slit into the side of the box. You will want to make 2 more slits so that you have a part of the box that will lift up so you can stuff the candy inside. Just like shown above. You will want to make the small hole at the top of your cardboard box. It will not matter if your going to make a square or triangle pinata. You will still go through the same steps and just put the pinata the way you want it when your finished. You will do the front and back of your pinata first. You will start with any corner that you want in the front of your Pinata. Take one of your strips, hold it up to the box and cut it where it will only over lap the sides a little bit. Next, cut it there. You will add Elmer’s glue to the strip where the flap is not at. Then apply it to your box at the tip of the corner as shown above. Then continue to rotate the colors until you’re 1/4 of the way down as shown below. Now in this picture, I did it on an angle, but I decided to change it and make it differently by gluing the tissue paper square. It is so easy to make each pinata different for you. Then move to the next corner and repeat till you have all the corners complete. Don’t worry if you go into the sides of the pinata we will fix those later. You can use your Plate or Balloon as a guide to see how far down you would like to go down for your corners. Once your corners are complete you will go to the open areas between your corners and again fill in the area rotating colors so that you cover all the areas. Leave the area where your Balloon or Plate will go blank for now. You will now work on the sides of your pinata. If you have over lapped your strips on the side. They will be dry now. Next, lift them up a little and cut off the excess so that you can fill in the sides of the pinata and they will lay flat. You will want to start on the side where your slit is for the candy to go in the pinata. Start to rotate your strips on the side away from you. When you are to your flap, you will use smaller strips in front of the slit. Next, cut strips that will cover the opening and give it room to move up and down before you glue your first one on. Hold it tight onto the opening and make sure it won’t break when your opening and closing your opening. 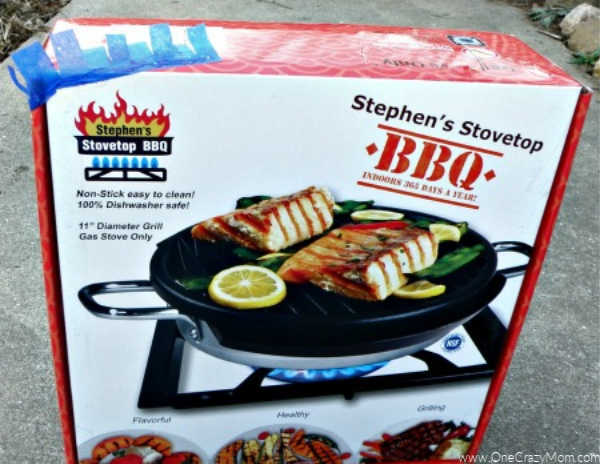 If it does break then use a little longer piece. To save you time use that piece as a template for the rest of your strips so you won’t have to measure each strip. Then glue the strips with rotating colors and you can also use white paper. You will now finish the other sides of your pinata in the same way that you did the side with the slit. Your pinata is now complete with all your strips. If your using a helium balloon you will cut the balloon to use in the middle of your pinata and just use the top character part of the balloon to add to your pinata. If your using a Plate that matches your theme you won’t need to cut it at all. You will now add glue around the outer edge and center of the object you are using. Then put it into place and smooth it out until completely covered. This is the last step for completing your pinata. If you have space around your balloon or plate that is showing your cardboard box then rotate strips to fill them in. Once this step is complete, you will want to take strips to cover the edges of your plate or balloon. Take your strip and measure around the outer edge. You can use smaller strips if it’s easier for you, and then go all the way around the outer edge to decorate your pinata. Dry completely and you are set for the party! Now you know how to make a pinata with cardboard! 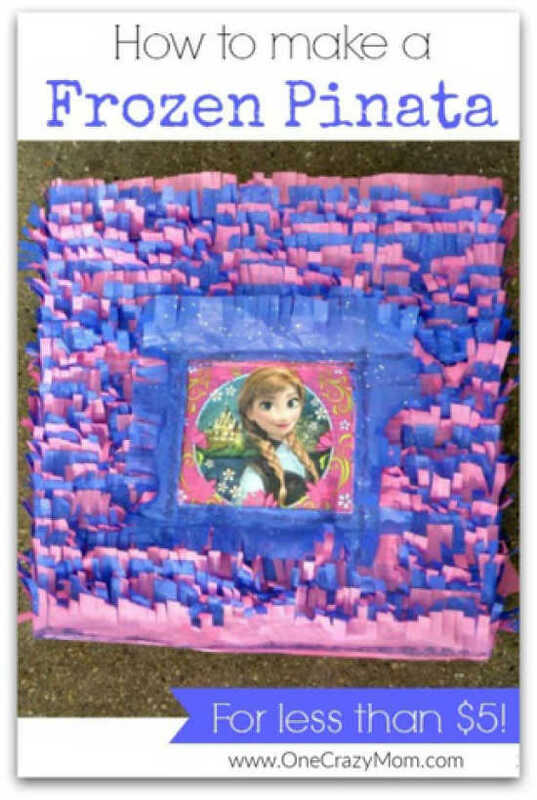 Your Frozen pinata is now complete, it’s ready for your party! Just fill with candy once it is completely dry. Use the packing tape to close the slit and you are ready for the kids to have a great time with their pinata! It is much easier than making paper mache and having to dip newspaper strip. You don’t need any strips of newspaper or crepe paper or crazy ideas like toilet paper rolls. We love Frozen birthday party ideas! For more frozen birthday party ideas, learn how to have a Frozen Birthday Party for under $100! From party favors to a photo booth, it will be a blast! You can also find 10 Birthday Party Games for Kids that will go with any theme. Are you going to try to make a Frozen Pinata?